The reach of Facebook is far and wide, even extending its grasp to Delta’s very own library. Goleman Library joined the social networking site, April 22, last year and collected over 280 likes. If a student chooses to like Goleman, they can receive answers to library questions and frequent updates on library events. “It’s all about being on a medium that students are on,” said Steven Schermerhorn, Librarian of Technical Services and Systems. One example is the Facebook post informing guests of National Library Week, which starts at Delta, April 11, and ends, April 14. 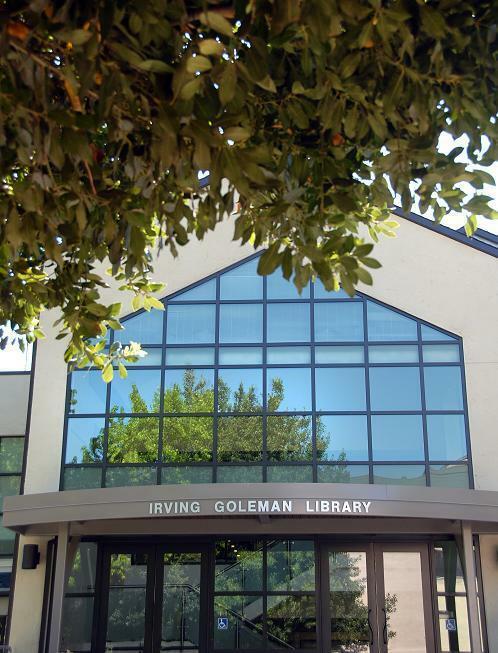 “Were trying to get as techie as we can,” said Joseph Gonzales, Interim Division Dean of Goleman Library. Attempting to turn a new page, Goleman Library even has a Twitter account so that students and fans can chase after this school library with ease. By following sjdclibrary on Twitter users can receive current updates. Both of these media outlets barely scratch the surface of technological advances Delta’s library has made. The library’s Facebook page and Twitter account started off as advertising for the expanding library website. On the library website, library.deltacollege.edu, students can check out the online catalog “Go-Cats,” which as a complete listing of available books at Goleman. Students can search the database for articles, statistics, and E-Books. “We have a virtual library out there,” said Gonzales. Unfortunately due to budget cuts and only a handful of librarians, Delta’s library can’t make the advancements it wants right away. That doesn’t stop the Goleman Library from taking baby steps towards the future. Films-On-Demand is a video service the library will be hosting online. It will allow students to choose films that are vital to their work and use clips for demonstrations. Though the only known set back is that it cannot clearly project itself onto a flat surface. The Goleman Library closed down in 2008 for renovation and started anew last year. Some of the new changes include Wi-Fi, so that students could easily accomplish work within this institute. Not all features of Delta’s library website exist to aid students. The Goleman Library has even provided a service for teachers to reserve class materials called ERes. “We would like to see more of our instructors use ERes,” said Schermerhorn. With more work to do, the Goleman Library faculty hopes that it will someday be one of the most tech savvy libraries around. CORRECTION: A photo was incorrectly credited to Brian Ratto.